ABU DHABI, (UrduPoint / Pakistan Point News / WAM - 17th Apr, 2019) A new pilot project was launched today by H.H. Lt. General Sheikh Saif bin Zayed Al Nahyan, Deputy Prime Minister and Minister of the Interior, that will see Abu Dhabi school children learning more about the UAE's history. The project is being launched under the patronage of His Highness Sheikh Mohamed bin Zayed Al Nahyan, Crown Prince of Abu Dhabi and Deputy Supreme Commander of the UAE Armed Forces. The curriculum will follow the framework of the chapters of a newly published book, 'The Emirates: Our History', which provides a comprehensive and accurate historical record of the UAE. Co-authored by archaeologist Professor Peter Magee, historian Peter Hellyer, and Mohammed Khalifa Al Mubarak, the chairman of Abu Dhabi's Department of Culture and Tourism, the book's 17 chapters provide written and photographic insights into the geology, geography, politics and history of the emirates, from the origins of the country's land up until the recent past. The need for books like 'The Emirates: Our History' in school curriculums is considered to be of major importance. They are able to explain the region's local history, drawing lessons from the past, while deepening an understanding of how previous civilisations and the ancestors of today's Emiratis lived, overcoming harsh conditions and thriving through innovation of new tools and systems. The book provides a record of the first evidence of human migration to this land, some 125,000 years ago, and the development of civilisations during the Neolithic period between 8,000 and 3200 BCE. The book also reports on the discoveries on Marawah Island that have shed light on the earliest inhabitants of Abu Dhabi, dating back more than 7,000 years, as well as the Bronze Age Umm an-Nar culture and its extensive trade links, dating to around 2,600-2,000 BCE. It also explains the shift in settlement structures around 1,000 BCE, during the local Iron Age, that saw larger, more permanent settlements emerging, as well the invention of the Aflaj (or irrigation systems) and the domestication of the camel, both of fundamental importance to Emirati Society. 'The Emirates: Our History' also traces the history of the Bani Yas and Qawasim tribes, as well as the presence of colonial forces in the Gulf region during the 16th and 17th centuries. 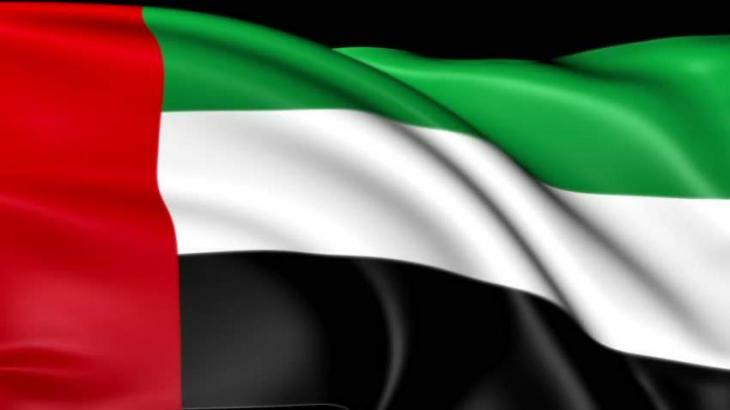 It also explains the gradual formation of a national identity prior to the mid-20th Century and outlined the rule of the late Sheikh Zayed bin Sultan Al Nahyan, and his role in forming the Union and its stages between 1966 to 1971. Sheikh Saif bin Zayed also launched a five-part documentary series on UAE history, which will be made available to the public in September. The documentary series showcases "a story 125,000 years in the making", up until the formation of the Union in 1971. Produced by the British academy of Film and Television Arts, Image Nation Abu Dhabi, and Atlantic Productions, the documentary explores the most significant moments in the UAE's development journey. The documentary will be broadcast across all television channels in the UAE during September. In addition, a three-part documentary series narrated by Jeremy Irons will provide a glimpse into the history of the UAE. This documentary series will be broadcast on National Geographic, SBS Australia, and Sweden's SVT.